Fully responsive and adapt to any screen sizes. Supports any media types such as images, inline text, photo gallery, iframes, ajax content, Vimeo / Youtube videos and Instagram photos. Also can be used as a confirm dialog. Fully accessible following the Web Content Accessibility Guidelines (WCAG) 2.0. Lots of configuration options and API. Easy to customize and config. 2. Initialize the plugin and we're ready to go. 3. General options with default values. // ajax, inline, image, iframe, confirm. // Specify a delay value for the after open callbacks. 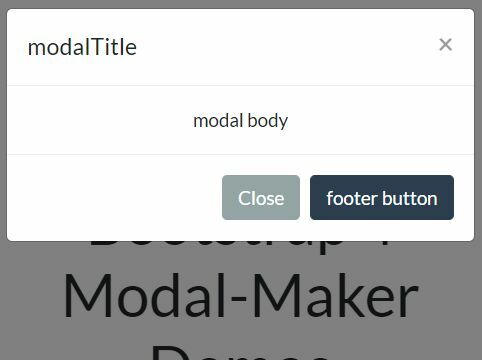 // Disable closing the modal via keypress or clicking the background. // intended to transform the source (href in an AJAX modal or iframe). 5. Confirm options & callback functions. 6. 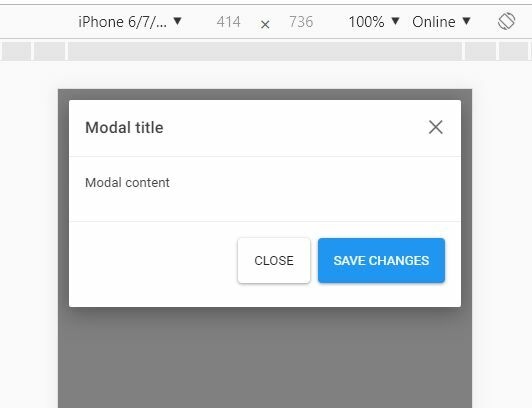 Gallery options & callback functions. 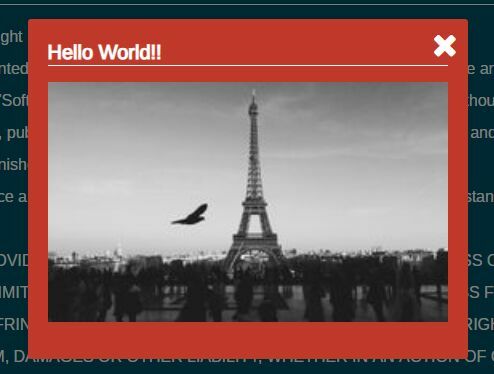 // Callback function executed before the image slide changes in a gallery modal. 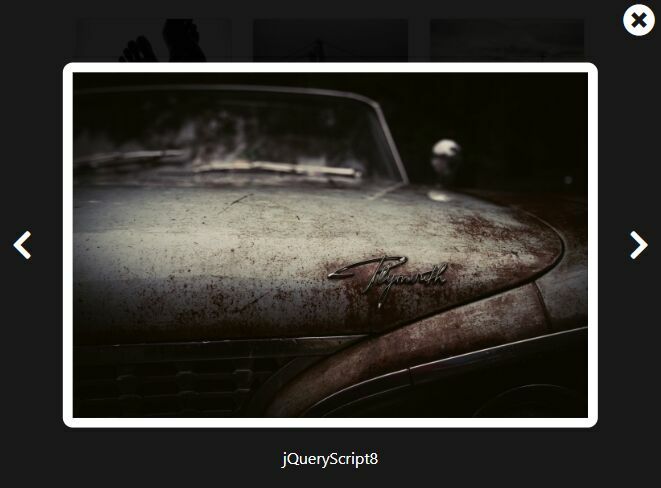 // Callback function executed after the image slide changes in a gallery modal. 7. Ajax options & callback functions. 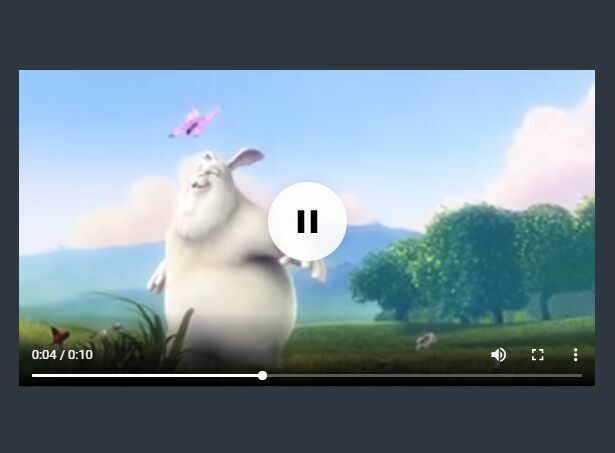 // HTML content for loading message. // Class name to be applied while content is loaded via AJAX. // Class name to be applied when content has failed to load. 8. Specify the Instagram photo ID. 9. You can also pass the options listed above via inline data attributes, as in 'data-modaal-type="instagram"'. v0.4.0: lots of bugs fixed. 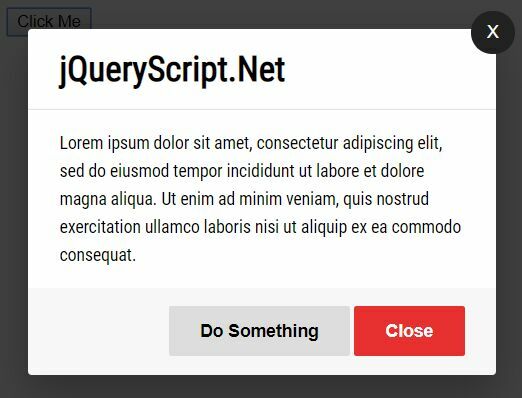 This awesome jQuery plugin is developed by humaan. For more Advanced Usages, please check the demo page or visit the official website.